1- Was, what you were being taught in your previous walk able to be backed up with scripture from Tanakh/the Old Testament? a. Joshua – Chapter 1:7 Just be strong and very courageous to observe and do in accordance with all of the Torah that Moses My servant has commanded you. Do not stray therefrom right or left, in order that you succeed wherever you go. 2 – Is the fact that you COULD NOT find the things that you were being taught “in your previous walk” in Tanakh/the Old Testament, one of the reason that you came out of your previous walk? a. Proverbs – Chapter 30:5-6.Every word of God is refined; He is a shield for all who take refuge in Him. Do not add to His words, lest He prove to you, and you be found a liar. 3 – Did you end up using the Tanakh/the Old Testament as a sounding board to compare the New Testament to, and when you did / did it end up proving the NT to be wrong? a. Deuteronomy – Chapter 4:2 Do not add to the word which I command you, nor diminish from it, to observe the commandments of the Lord your God which I command you. 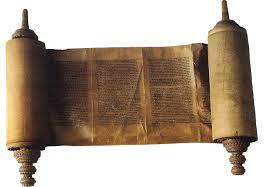 4 – Are you still using Tanakh/the Old Testament, in your new walk, to prove truth with? a. Deuteronomy – Chapter 13:1 Everything I command you that you shall be careful to do it. You shall neither add to it, nor subtract from it. Or… have you found yourself doing the exact same thing that you were doing in your previous walk- (i.e. believing things without comparing them to what is written in Tanakh/Old Testament and/or settling for things that add to or take away from Tanakh/the Old Testament – etc. etc.). Be careful and sure that you can always back up where you’re at with Tanakh/the Old Testament. It’s a great rule to live by.